Investors who seek advice from discount brokerage firms might assume the counsel they get is impartial, given how these firms have rejected the old Wall Street model of working on commissions. In fact, advisers at some of the biggest discount brokerage firms make more money if they steer clients toward more-expensive products, according to disclosures from the firms and people who used to work at them. That means customers could end up with investment products and services that are costlier than they need. The Wall Street Journal interviewed dozens of former employees of the three largest discount brokers by assets, Fidelity, Charles Schwab Corp. and TD Ameritrade Holding Corp.—all known for bringing low-cost investing to the masses. Nearly all the former employees said compensation practices encouraged workers to sell products that were more lucrative both for the firm and for the employee—and cost customers more. Fidelity representatives are paid 0.04% of the assets clients invest in most types of mutual funds and exchange-traded funds. They earn more than twice as much, 0.10%, on choices that typically generate higher annual fees for Fidelity, such as managed accounts, annuities and referrals to independent financial advisers. “If I was sitting in front of someone and there were 20 different avenues we could choose from,” said former Fidelity financial consultant Sean Gray, “and we could choose Fidelity’s managed accounts—that is what paid us more—in my mind, that created a conflict. And that’s one of the reasons I left.” Mr. Gray, who worked in a Fidelity branch in Atlanta from 2011 to 2016, now is at a wealth-management firm in Georgia. At Fidelity, sales incentives not only enhance pay directly but also help representatives win “Achiever” bonuses that can be tens of thousands of dollars a year. At Schwab, employees can win an award including a trip to such destinations as Florida or Hawaii; for advisers, performance is measured partly by sales volume in certain products. Discount brokerage firms originated in the mid-1970s when stock-trading commissions were deregulated. The higher payouts for brokers at traditional firms led to a series of scandals in which investors were sold risky assets that collapsed or underperformed, including tax shelters in the 1980s, certain in-house mutual funds in the 1990s and private real-estate trusts in the mid-2010s. Many customers come to discount brokers to avoid such conflicts and to keep the costs of investing low. The discount brokers, while disclosing their employees’ pay incentives on websites, said they don’t require the employees to talk about these incentives with clients. Former employees said they almost never did. 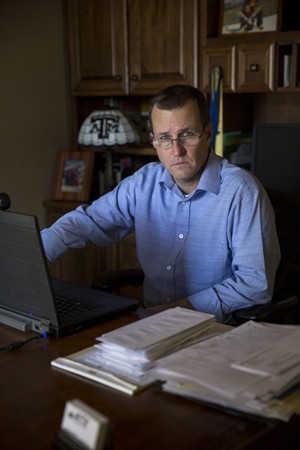 The firms say they have extensive policies and procedures designed to make sure their representatives, often called financial consultants, act in clients’ interests and don’t unduly push any product or service. TD Ameritrade’s disclosures say it pays employees more for selling some investments than others and “may have a conflict of interest when it guides prospects toward these services.” Spokeswoman Becky Niiya said the firm has had “policies, procedures and supervision in place for many years to help our focus remain on delivering appropriate solutions for our clients.” She said it recently introduced a new compensation plan to eliminate targets for individual products. Mutual-funds giant Vanguard Group, which also has a discount brokerage operation, said it doesn’t use sales incentives to pay employees. The products and services for which employees of Fidelity, Schwab and TD Ameritrade are best paid charge an annual fee—a percentage of assets—to offer advice. The advice business is an increasingly important one for brokerage firms, given steep declines in trading commissions in recent decades. Discounters also find growing demand for advice from retiring baby boomers and investors scarred by the 2008 meltdown. Many former employees the Journal spoke with pointed to managed accounts as products they were urged by supervisors to sell. These are baskets of investments often combined with a financial plan and advice. They may cost clients of discount firms anywhere from 0.20% to 1.7% of assets annually, depending on factors including what the underlying investments are. Former employees said some clients’ needs could be met with lower-priced investments, such as “target-date” mutual funds costing 0.5% or less a year or “robo” advisory services that often pair human advice with algorithms and, for as little as 0.30%, adjust portfolios of low-cost funds for market conditions. Without knowing the identities of the former employees, some who spoke for discount brokers suggested that former employees who are critical of the firms’ practices might have been underperformers. The firms also said it would be counterproductive for employees to emphasize inappropriate products part of their pay is based on retaining clients. Mr. Tappe said about 20% of clients who come to a Fidelity branch with more than the $50,000 minimum for a managed account eventually invest in one, and that percentage has held steady in recent years. All three firms pay incentives to representatives for referring clients to independent investment advisers. 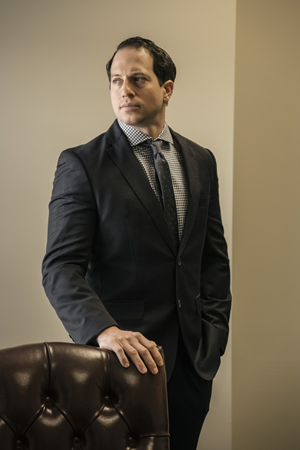 These advisers charge clients an annual percentage of their assets, and the discount brokerage firms receive up to 0.25% annually on assets committed to the advisers. It can be hard to determine exactly which product or service is best for an individual investor. Even former discount-broker employees who are critical of these incentive structures say many customers may be better off paying more for advice. Alternatives such as going it alone or using an even-more-expensive traditional brokerage account could lead to underperformance, they said. Fidelity, Schwab and TD Ameritrade said their advisory businesses comply with federal rules by acting in clients’ best interests. Lawyers unaffiliated with them said the compensation practices are permissible under the rules so long as the complexity of products is taken into account, potential conflicts are disclosed and the firms pledge to put clients first. Together with customer feedback, Fidelity employees’ variable compensation counts toward annual “Achiever” bonuses. In 2016, according to an internal compensation plan reviewed by the Journal, these bonuses could amount to as much as $92,400 a year, jumping by thousands when incentive pay hit thresholds. A financial consultant who earned incentive pay of $129,579 to $136,191 qualified for an Achiever bonus of $71,500. Earning a single dollar more in underlying incentive pay could raise the Achiever bonus by $11,000, to $82,500. Several former Fidelity employees said financial consultants were highly motivated to reach the next Achiever level and often favored products that paid them more to get there faster. Two recently retired Fidelity consultants introduced to the Journal by the firm said they didn’t feel its incentive structure influenced their advice. At Schwab, employees with exceptional service and client satisfaction can qualify for the Chairman’s Club, winning a trip to a Hawaii or Florida resort. For advisers, sales volume also can be part of the calculation. The firm’s compensation practices could create “a financial incentive to recommend [managed accounts] over other products and services,” said a 2016 Schwab disclosure of compensation practices. Associates are eligible for quarterly bonuses based on client satisfaction and sales performance, said the firm’s spokeswoman, Ms. Niiya. She said the new pay plan for financial consultants, introduced in October, ties “a much greater share of their compensation” to the retention of clients. 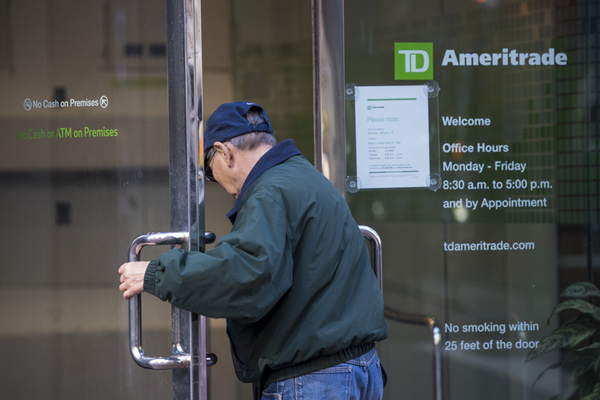 A practice called “sandbagging” occurred at TD Ameritrade, according to Mr. Snyder and other former employees of the firm. As the end of a calendar quarter approached, financial consultants who had hit their targets for new assets might delay accepting or investing fresh client money until the next quarter. That got them off to a better start toward earning the next quarter’s bonus, but meant leaving client money temporarily uninvested.